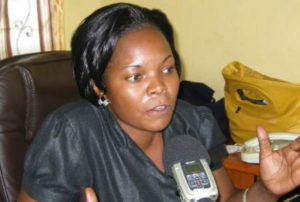 Lands minister Persis Namuganza. Hackers used her telephone contact to fleece the public. File photo. Hackers on Monday swapped the telephone contact of Lands State minister Persis Namuganza and conned over Shs140m in her name. The minister alleges that hackers sent messages to all people in her contact lists on Monday, asking them to send her money urgently. “I am in a meeting but meanwhile help me and get for me where there is mobile money and deposit Shs1m or Shs2m or Shs3m, I will refund you later. If you don’t have borrow because its urgent,” the message read. According to the minister, hackers then asked their victims to deposit the money on a given telephone contact registered as Ssebandeke Muhamudu. “The first victims they conned were my people from the ministry who sent Shs2m after the hackers claimed I needed the money for fuel. They sent several others and asked for the same amount of money,” Ms Namuganza said. Among the targeted persons in Namuganza’s contact list included Inspector General of Police Gen Kale Kayihura who was asked for Shs5m but declined after he used the minister’s other contact to verify whether it was her in need of money. “When he [Kayihura] received the message, he used another line and called wondering if it was really me in need of the money, I explained that I had no idea,” she explained. According to the minister, over Shs140m have been swindled from ministers and friends. Despite being conned over Shs140m, the minister also received death threats to the effect that she had three days to live. “They say that I am one of the highly needed people in this government, the public should know in case I am not available in the coming days,” she said. However, in the past years, all Ugandans owning mobile telephones were ordered by police to re-register their mobile numbers using National Identity Card number (NIN) for the country to end criminality. However, unknown people continue to use telephone numbers to con others but both Police and National Information Registration Authority (NIRA) are unable to retrieve their registered details. This leaves one wondering whether countrywide registrations were a waste of time and national resources.